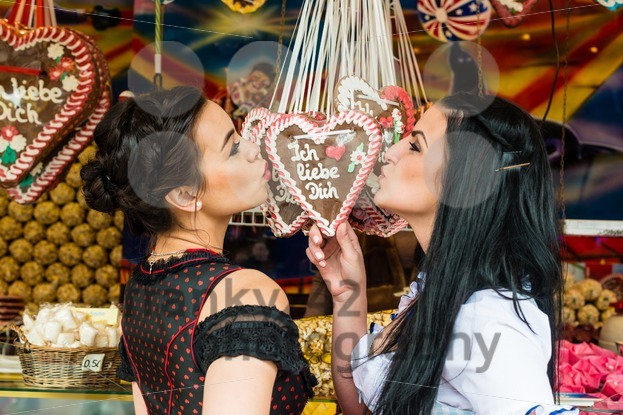 Categories: Casual, Food & Drink, Oktoberfest, People. 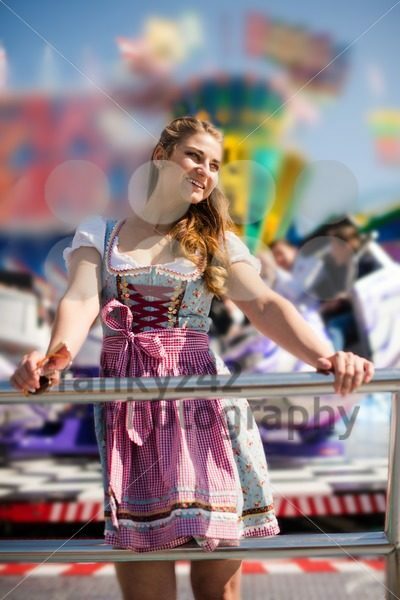 Beautiful woman with Russian background but could also be Greek is wearing a traditional Dirndl dress with cotton candy floss at the Oktoberfest. The wording in the background says “Mandeln & Nuesse, Popcorn” (almonds, nuts, popcorn) and is no branding.